Make your next piece of furniture BESPOKE furniture. Our bespoke bar furniture has become a hot item between our clients. 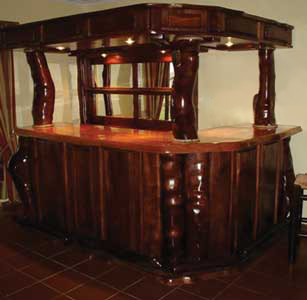 Contact us and find out what we can do for your bar space. 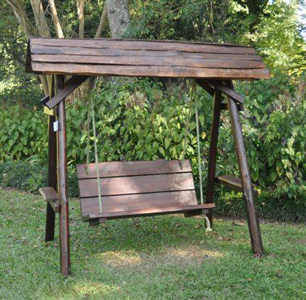 Our garden furniture ranges from patio sets, to loungers, swing sets & kids outdoor furniture. We tailor make all our pieces specific to your requirements. From bedroom items, to lounge furniture and dining pieces our bespoke wooden furniture can suit any home. Rustic Creations produce the best quality, unique and affordable rustic and traditional wooden furniture for indoor and outdoor use. We manufacture all our items by hand to natural standards. Established in 2001 the business would then be acquired by Peter Campbell and Tim Mason in 2010 from the then owner. Rustic Creations was acquired to compliment the range of cottage and traditional furniture that had been manufactured by pinewood cottage furniture (Pieter)for some 18 years. The company supplies its produce over KZN with some sales to other provinces. We stock a variety of woods such as pine, jacaranda, yellowwood, mahogany, pencil cedar, camphor and others are sourced to customer requirements. Quality, simplicity, affordability and uniqueness are the aims of the company and its staff. Rustic Creations, established in 2001 and acquired by Peter Campbell and Tim Mason in 2010 from the then owner. We produce quality, unique and affordable rustic and traditional wooden furniture for indoor and outdoor use. we manufacture all our items by hand to natural standards. 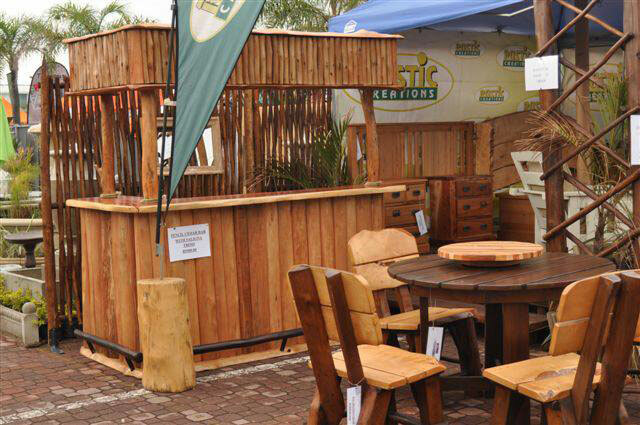 Rustic Creations was acquired to compliment the range of cottage and traditional furniture that had been manufactured by pinewood cottage furniture (Pieter) for some 18 years. The main show piece for our products is East Coast Radio home, garden show referrals and repeat customers. 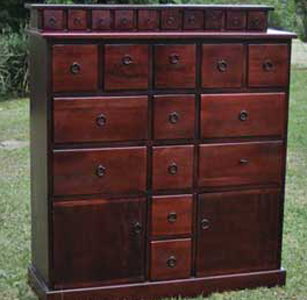 Rustic Creations prides itself in its bespoke furniture. We can make up unique pieces specific to each client. So, get in touch with us to find out more or come and see us.